Have you ever had a vision of a story book character you would like to create? Have you ever thought of a story book theme you would like to develop around this character? Did you develop this idea or put it to sleep for several years? This is how Buckaroo Buckeye™-A Little Nut with Big Dreams was born. From my life experiences and my family experiences and my education experiences, I wanted to weave a story book character and theme around these. 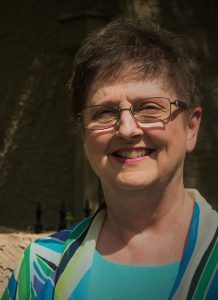 I wanted to tell my personal story which everybody’s story is…a life journey of self-discovery and overcoming the bumps and bullies and setbacks along the way. I wanted my story book to be inspirational to those who face struggles on their pathway to their self-discovery success. I was inspired to write this story because of the many struggling readers I had worked with over the years. They were bullied and excluded and had low self-esteem until one day with guidance and nurturing and determination they could read! Now, what kind of character did I want, to deliver my message? I thought of my own background…born and raised in Ohio, the Buckeye State. Then it came to me. A buckeye nut seed! From such a tiny seed that holds all the dreams to become a mighty tree it starts its journey and must persevere. The challenges it faces to sprout and grow strong through soil, cold winters, and squirrels eating them, but with proper nourishment, this tiny little nut seed survives to realize its dream of becoming a mighty buckeye tree! WE are born with a tiny little nut seed that contains our hopes and dreams to one day achieve! OUR pathways are strewn with challenges and setbacks along the way, but with proper nourishment and guidance from family and culture, education, and life experiences we can achieve! So, I sat down and wrote my words to my story. Not too many words, and not too long of a story but make sure it has the beginning dream, followed by the journey, ending with the dream achieved! But what was my little nut seeds dream? Que lástima! You must read the story! Now, I had to bring this tiny little nut seed to life and make it relatable, so I decided he needed to transform at some point into a cute little human like character that was more identifiable to children and their parents. Well, I had always loved to daydream about the old wild west and cowboys as a little girl growing up in rural Ohio. Why not make him into a cowboy! Cowboys wore chaps. Let’s give him chaps out of a buckeye nut husk. Cowboys wore kerchiefs. How about an oversized red one? After all he is a teeny, tiny little nut seed. And of course! Cowboys wore cowboy hats and my character needs a BIG one, since he’s so tiny! My story was written, the character was created, now it was time to bring the two together. What was my character’s name and what is his story? After some brainstorming with my husband, he got his name. Buckaroo Buckeye! 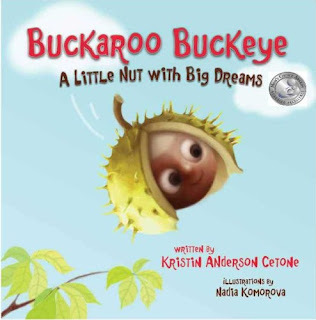 And next, his story line: A Little Nut with Big Dreams! What do buckeye trees do? They grow more buckeyes, of course! And more life journeys for me to write! So three buckeye nut seed sequels were created. 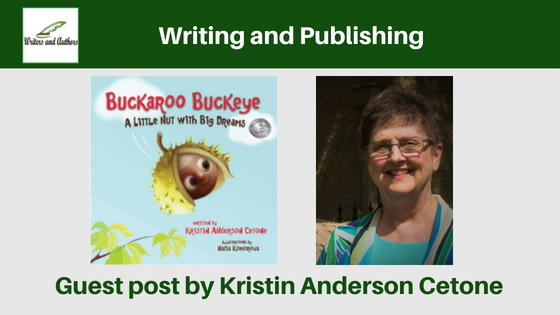 They all get their start…oops, can’t say because if I do, you will know the ending to the original story of Buckaroo Buckeye! Happy Trails. Next starts the most challenging journey for the writer… getting their book published. 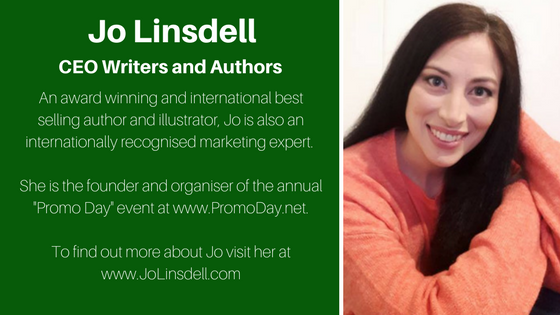 I chose self-publishing, so I could trademark my character and maintain control over the fidelity of my characters and their stories. Self-publishing is not an easy journey. Perhaps I will share that story another time.